Black and White: Four connected stories, one amazing book. 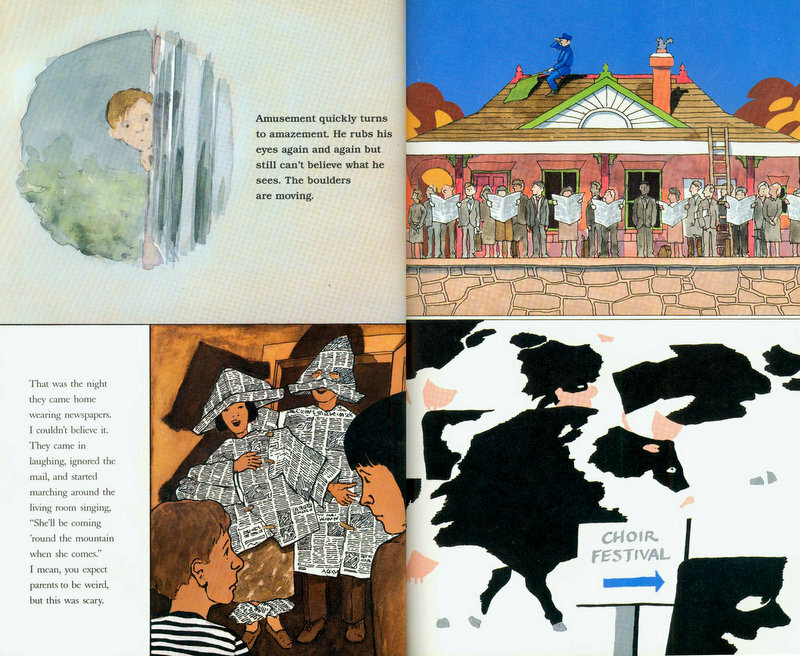 In his picture books, Macaulay’s ease with words lures readers into his stories. He alters his artistic style to accommodate the tone of the story and, regardless of medium or technique, his art is always pleasing and inviting. 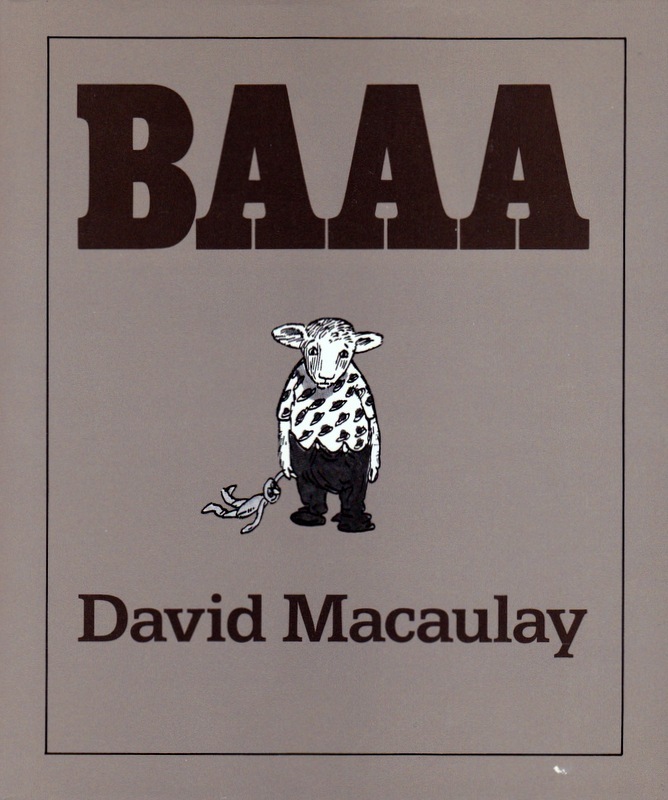 I have previously reviewed his picture book, Baaa (1985). You can expect to see more of his books reviewed here in the future. 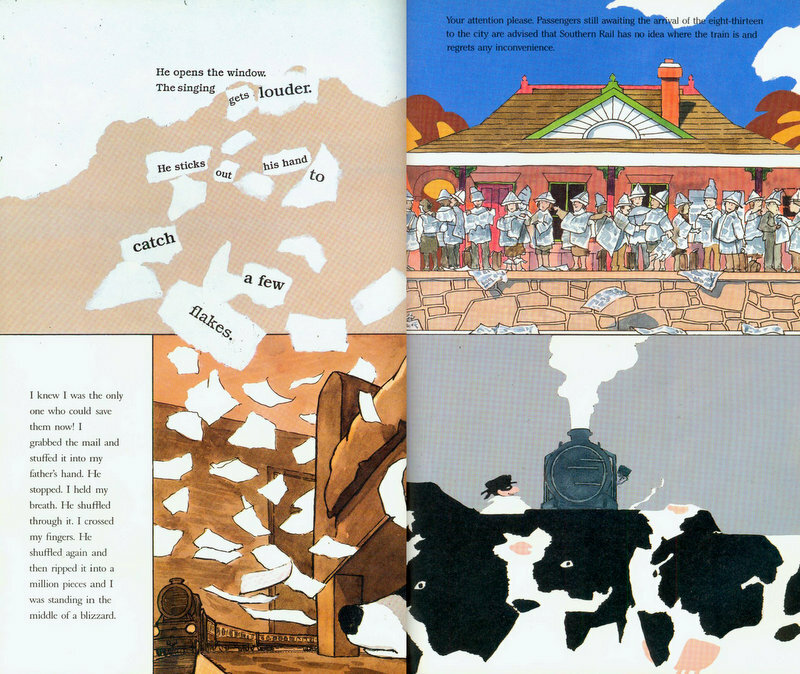 The next spread has four separate panels, each in a different illustration style, each one beginning a different story. Some panels have no words; others have whole blocks of text. In one story a boy is taking his first solo trip on a train. 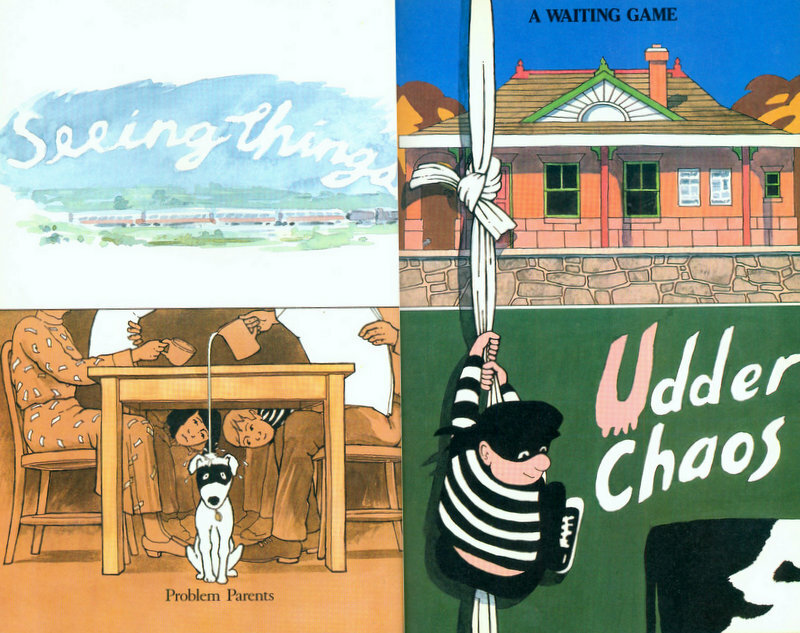 In another, mostly wordless, story commuters wait on a train platform. There’s a story about some parents exhibiting very odd behavior, and one about some wandering Holstein cows. Slowly, the different illustration styles begin to meld and overlap, the stories collide, and everything comes together to form quite an amazing book. Though I’ve categorized it for children ages four to eight, I think there’s plenty here to interest older children as well. Readers can begin by going through each story individually and read through the book four times, or the stories can be read all together, making only one trip through. I have done both, several times, and I recommend doing the same. This book offers a great lesson on perspective, as well as an example of how truth can still be truth even if it’s from an entirely different point of view. * The New Way Things Work is an updated version of The Way Things Work, originally published in 1988. 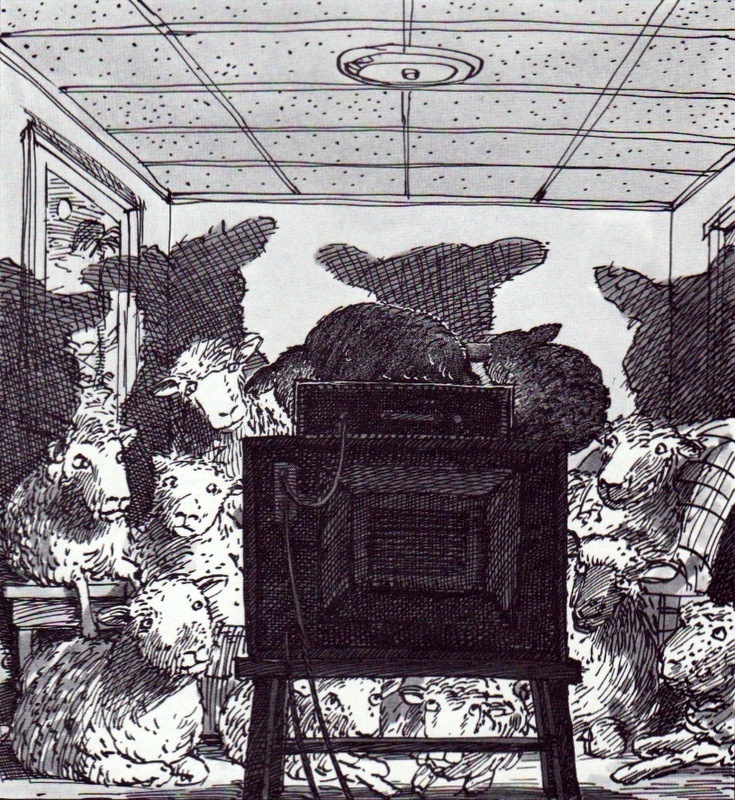 Baaa: This satirical picture book is grim, fascinating, humorous and clever. 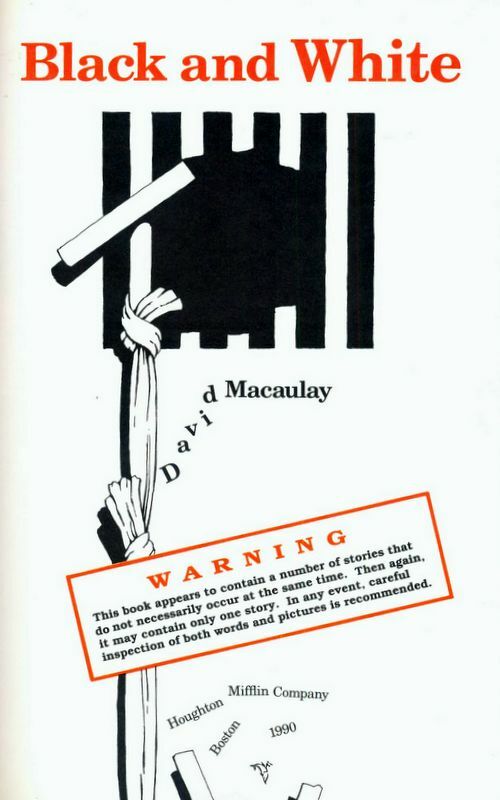 In the course of his career, David Macaulay has employed several different illustration styles. He’s an amazing artist, regardless of the medium, and a true genius. Seriously, he won the MacArthur Foundation Award—aka, The Genius Award—in 2006. 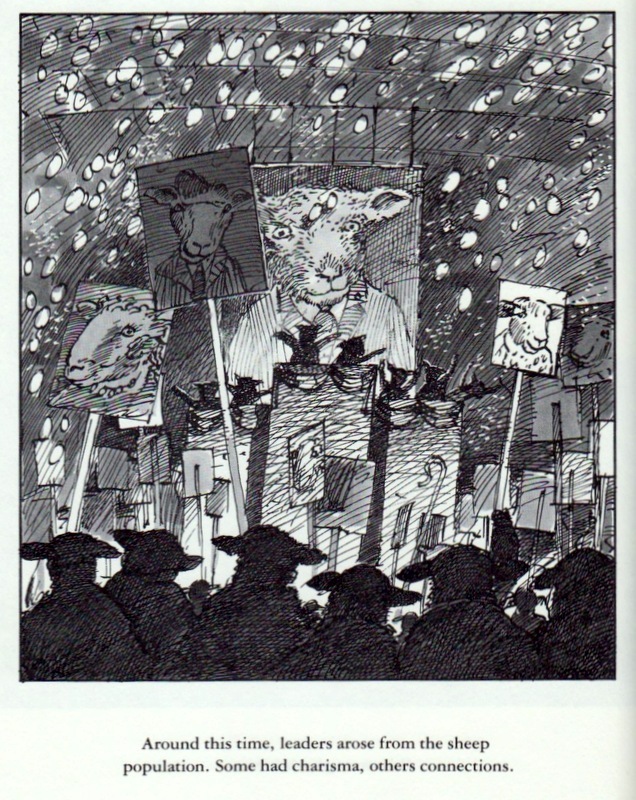 The art in Baaa is black and white and beautifully done. 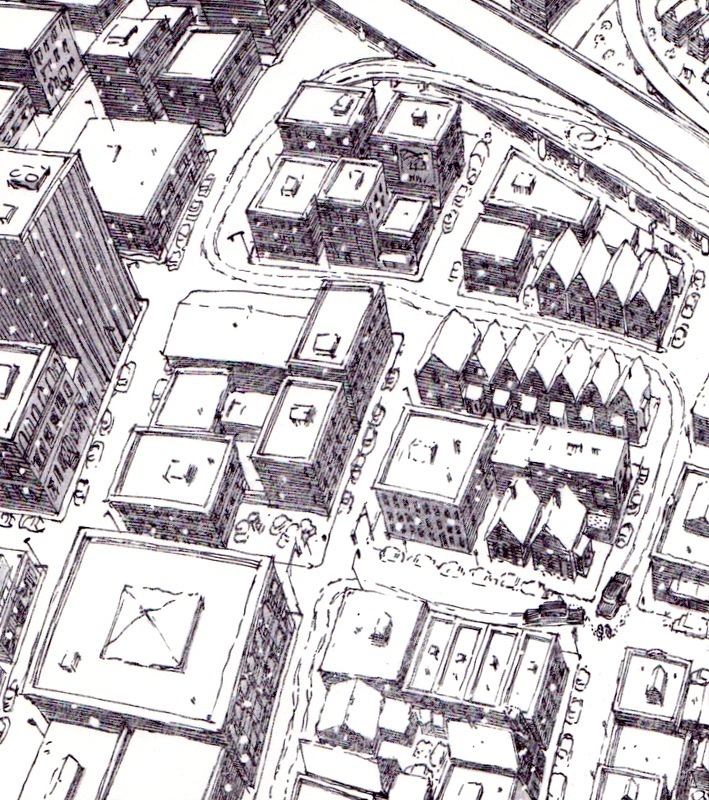 Macaulay uses light and shade perfectly and creates texture and depth with cross hatching and carefully spaced lines. Though this is a heavily illustrated book, the story is not for younger children. Because of the bleak subject, I’ve categorized it as a middle reader but I think there are many aspects to be appreciated by older children, teens and adults. Baaa is a parable about overpopulation, borrowing ideas from George Orwell’s 1984 and Soylent Green, the 1973 film. Instead of people, Baaa is sheep. 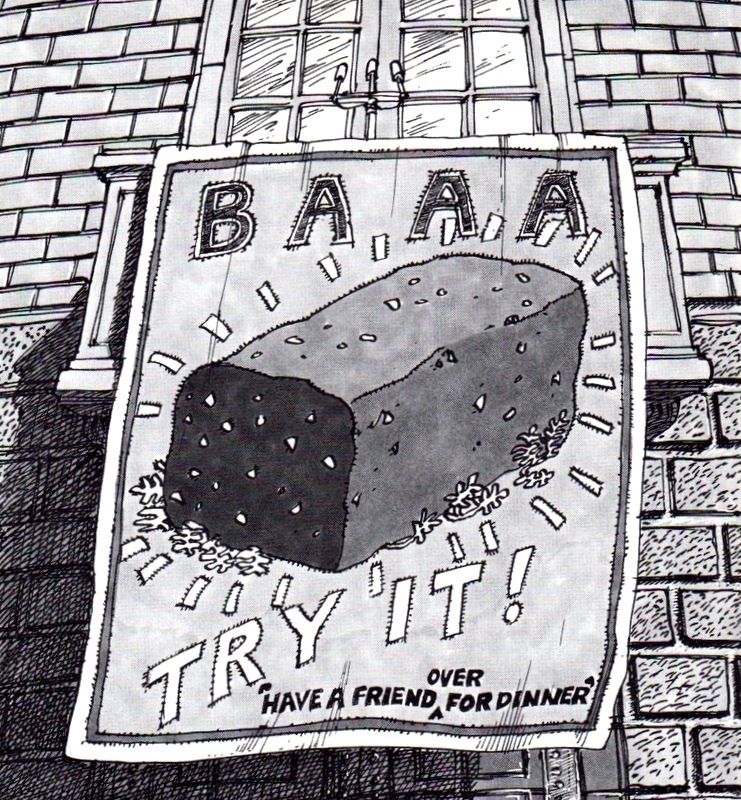 This satirical picture book is grim, fascinating, humorous and clever. Sometime later, sheep begin to wander from their pastures into the now deserted towns. After they’ve eaten all the flowers and grass and potted plants, they move into the houses and grocery stores. When a television in an abandoned house is accidentally turned on, several sheep sit mesmerized by the glow emanating from the screen. Eventually they learn to operate the machines attached to the TV’s and they’re able to watch movies. More time passes and the sheep learn to speak and read. Slowly, they learn to be more and more like humans. They inhabit the homes the people left behind, and learn to drive cars. They establish schools, travel and pursue careers; leaders emerge from the pack. Times are prosperous and the population increases. But before long, the lines at markets begin to grow, traffic moves more slowly and grocery items are in short supply. Items must be rationed, but it’s never done fairly. Hungry sheep turn to crime. More and more sheep are unhappy and riots break out. Just as things seem to be at their worst, there’s a miraculous end to the food shortage and a brand new product on the shelves! Everyone is eating it and everyone loves it. Soon there’s a shortage of Baaa and the unrest returns. Armed forces return the peace. Baa returns to the shelves. The cycle repeats and the population declines, until there’s just two sheep left. They meet for lunch.